The Detroit Tigers and Texas Rangers have reportedly agreed to a deal sending slugging first baseman Prince Fielder to the Rangers for second baseman Ian Kinsler. According to CBSSports.com’s Jon Heyman, the trade would be complete pending physicals for both players. Fielder does have Texas on his “no-trade” list but is expected to approve deal. Fielder hit .279 with 25 home runs and 106 RBI last season. 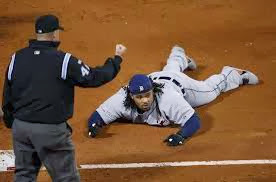 He signed a nine-year, $214 million deal with the Tigers before the 2012 season. Kinsler batted .277 last season and hit 13 home runs and drove in 72 runs. Kinsler has spent his entire 8-year career in Texas. With Fielder the new Texas first baseman, the move would apparently eliminate Red Sox free agent Mike Napoli from the Rangers wish list. Texas was one of the teams favored to sign Napoli. The Red Sox have made it known that are heavily interested in re-signing Napoli, but have also been linked to Brewers free agent first baseman/outfielder Corey Hart.